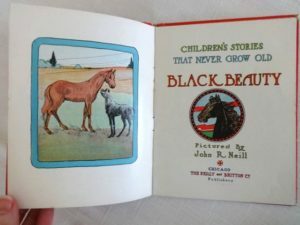 Here is a hard to find edition of a book, Black Beauty by Sewell, illustrated by Wizard of Oz illustrator John R. Neill. 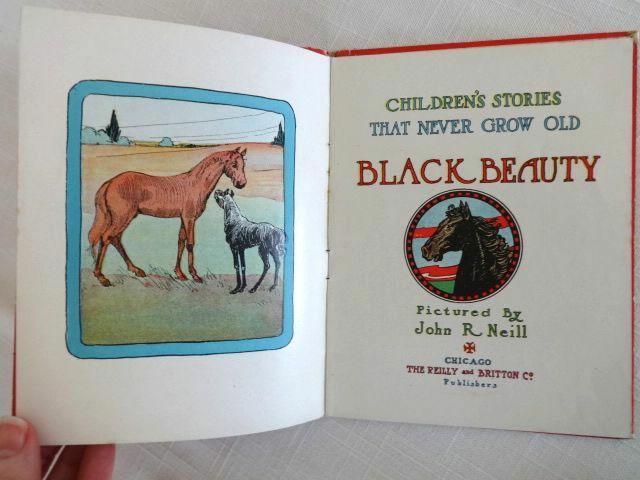 Copyright 1908, this is the 1st edition by Reilly & Britton, one of the rare Children’s Stories that Never Grow Old series. 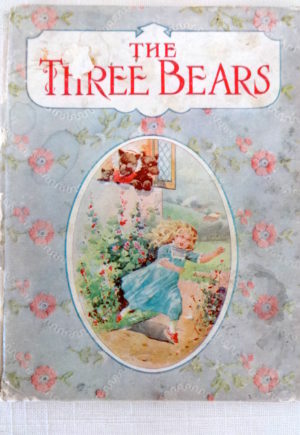 This title was bound with a bright red cover with inset illustrations. 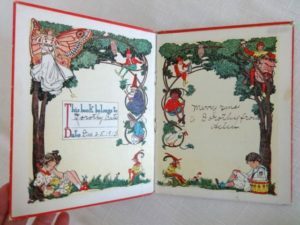 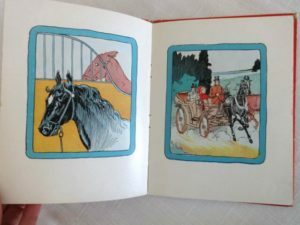 Unlike the later Children’s Red Book series, it just contains the one story but still has the lavish color endpapers, a color title page and frontispiece, and color illustrations on many of the 29 numbered pages. 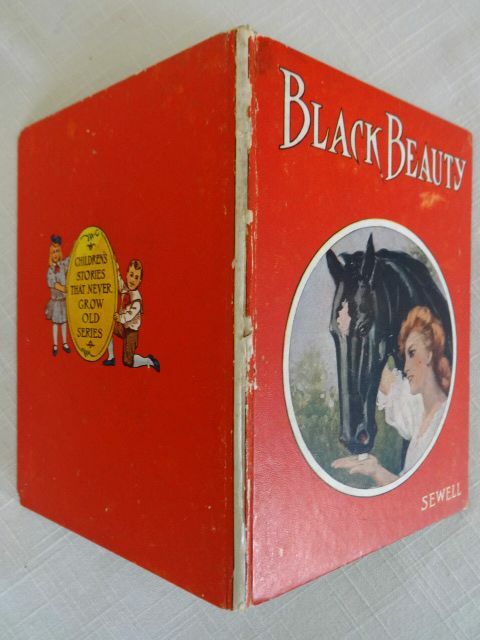 In better condition than usual for this fragile binding style! 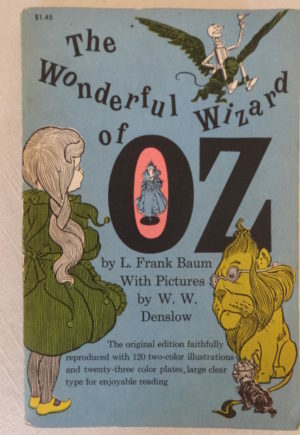 The paper over the spine is usually gone on this edition, but is mostly intact on this copy, just some chipping along upper edge (oddly, the spine paper is white while the rest of the cover is red). 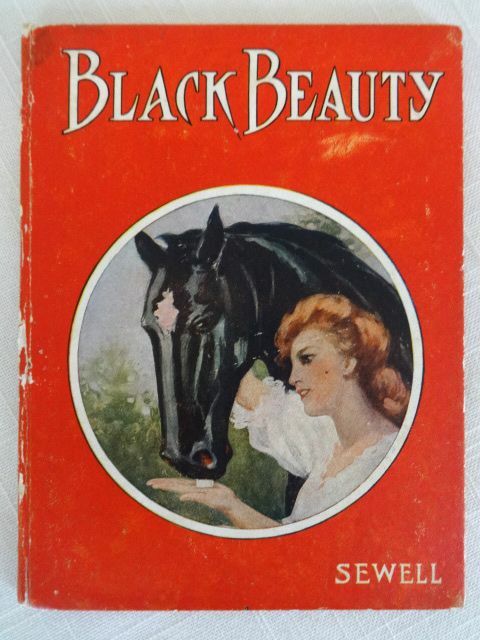 The cover itself has some scuffing to the red, but the interior illustration is still beautiful. Inside, the Book Belongs To box is filled in with a 1911 date and there is a gift inscription on the front endpaper. 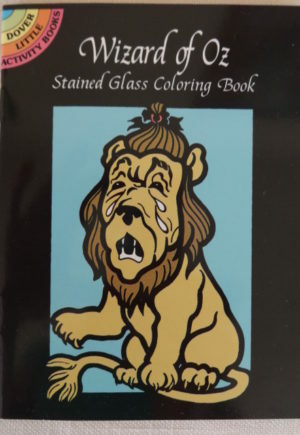 Binding is slightly loose but holding, pages are clean and bright with light soiling but without writing or tears. 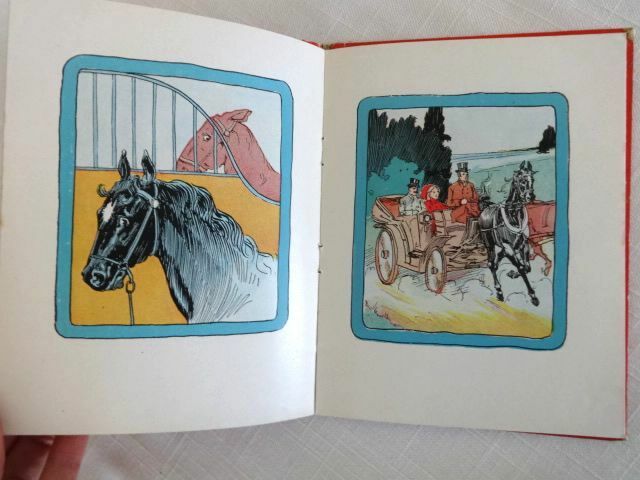 A nice copy of this scarce and fragile 1st with Neill illustrations.